One of the main villains in the story. 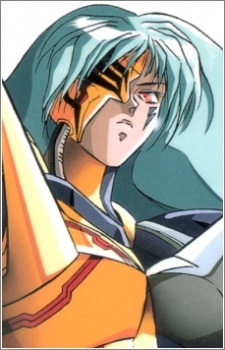 Cross is an android and was probably "created" by Big Gold before she was killed by Iczer-1. With her brother Chaos, she goes to different planets throughout the galaxy, stealing their resources and destroying them. She takes pleasure in killing their inhabitants and hunting down the Iczelion that protect those world. She is usually accompanied by three strong Geas called Voids. Cross seems to be the brawn between herself and her brother. She is eventually killed by Nagisa.